$10 from the sale of each CD goes to a memorial fund directed by Nancy Penny that will be used for the musical education of local musicians. Especially violin students. This was to be a full length CD of the band "Legacy". This portion was recorded on extremely short notice on the occasion of the death of a friend in Kentucky. The band wanted to record these songs and send them down to Kentucky so they could be played at the friend's funeral. We got the band in the studio that very day, did the recording and sent the CD out overnite express. At the time I (Jeff Gardner, studio engineer) was looking forward to making a few repairs and corrections to the recording as it was done in such a hurry. Harmony vocals were still to be recorded and other parts were slated for re-recording. As well as a few more tunes were to be added. Unfortunately, God had other plans and the follow-up session(s) never occurred. After the passing of Sharon, Nancy asked if I might consider releasing the partial project as is. I thought back of the imperfections that I had planned to address and shrugged my shoulders while replying, "I'll see what I can do." That evening I put the "demo" CD in my player and spent the next few minutes wiping the tears from my eyes and rubbing the goose bumps on my arms as I listened to the music for the first time since the day I had sent that copy to Kentucky six months before. What a difference! As circumstances had changed, so did my perspective. With the knowledge that we would never again hear Sharon sing or play in person, never have her gracing the studio again, the music emanating from my studio monitors impacted me as few recordings ever have. I was truly MOVED. I decided then and there that no "fixing" was necessary. You get to hear exactly what we heard in the studio that day in October 2005. Sharon's performance seems to transcend the recorded medium and assure you that she is in a much better place. We didn't know at the time of the recording that Sharon's cancer had returned and that she herself was not long on this earth. We hadn't thought that Sharon knew at the time. But as I listen to these recordings. I am not so sure. Her delivery of the lyrics make me question if maybe she did know. Her earnest sincerity, that was always a part of her music, seemed to jump straight from my speakers into my very soul. I can only thank the band and God that I was able to be a part of this testament to a life well lived. 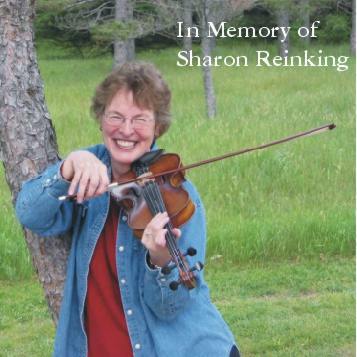 Traverse City —Sharon Reinking, 59, of Duck Lake, died Friday morning, March 31, 2006, at home with her family by her side, after a courageous battle with cancer. Sharon was born June 24, 1946, to Roy and Doris (Weldon) Reed, in Detroit. She married Carl D. Reinking on Nov. 7, 1964, in Livonia. Sharon was licensed as a Real Estate agent in 1979, and continued in the field, achieving many accomplishments. Sharon also helped to educate on the subject of Real Estate, teaching at NMC and other facilities around the state. Sharon was strong in her faith and an example to many as a member of Grawn United Methodist Church, participating on the Leadership team, Administrative council, and helped as a Small Group and Bible Study facilitator. She was also a National Association of Realtors mediator, on the Kiwanis Club Board of Directors, and a member of Traverse Area Association of Realtors. 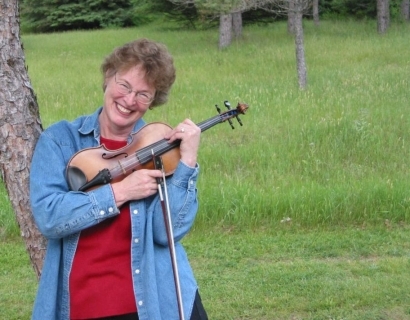 Sharon had a great love for music and enjoyed getting together with fellow musicians to play. Sharon's talents were showcased, but not limited to, playing the fiddle, auto harp and hammer dulcimer. Sharon took part in many music groups, including Seekers, Legacy, and TC Celtic. She was a warm, caring, loving, classy lady that always had a beautiful smile on her face. She cherished the time she spent with family and friends and loved being with her grand babies. Sharon and her full of life attitude will be deeply missed by many. Sharon is survived by her husband of over 41 years, Carl Reinking; daughter, Angie (Joe) Rogers of Traverse City; son, Kurt (Bonnita) Reinking of Royal Oak; four grandchildren, Paige, Nathan, Jacob and Joshua; mother, Doris Reed of Livonia; nine brothers and sisters, Richard (Lorraine) Reed, Bill (Sally) Reed, Don (Mary) Reed, Diane (Mike) Harris, Jan (Bob) Fillion, Sandy (Bill) Rowe, Kath Reed, Carol Martin and Dennis (Debbie) Reed; and many other loving family members and friends. Sharon was preceded in death by her father, Roy Reed. Visitation for family and friends will take place Monday, April 3, 2006, from 2 to 4 p.m. and 6 to 8 p.m., at the Reynolds-Jonkhoff Funeral Home. Funeral services are scheduled to take place at 11 a.m. Wednesday, April 4, 2006, at the Central United Methodist Church, where visitation will take place one hour prior to the service. The Reverend Daniel Biteman will officiate.